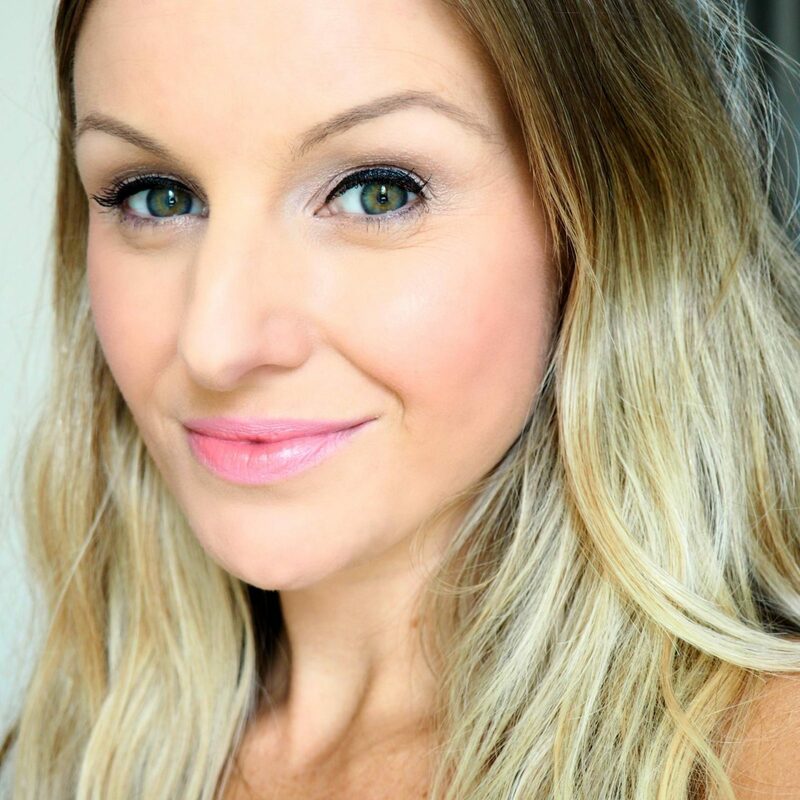 I love switching my makeup to reflect the Seasons and Spring has to be my favourite Makeup Season of all. Lots of Weddings, finally some Sunshine and the pretty flowers blooming. 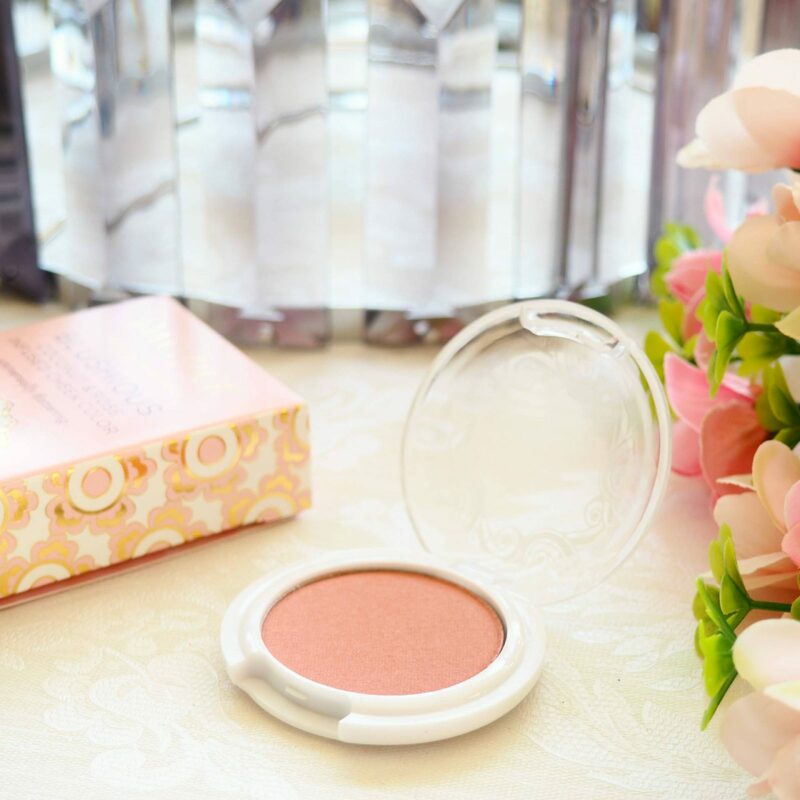 For me Spring is all about pinks, pastels and peach, I look for complexion enhancers to add that ‘glow from within’ to my skin as it recuperates from the dry, dullness of Winter, and I found something pretty special with this delightful Blushious Blush from Pacifica. Shades: I have the Shade Camellia which is a sheer mineral soft peach that shows up more pink/peach on my pale skin which I adore. 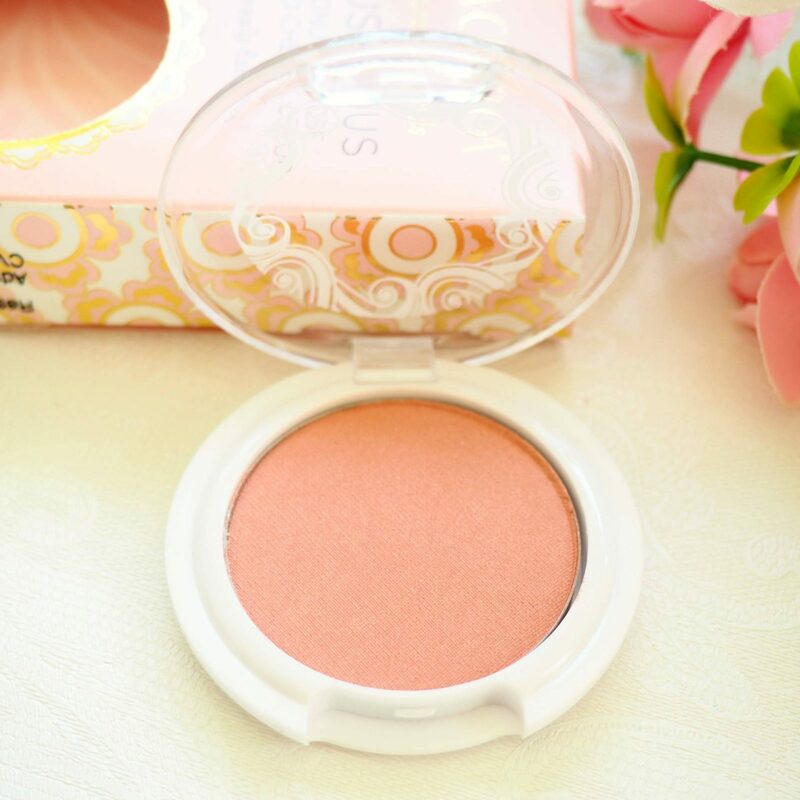 Pink/Peach Blushes are my go-to, I have many of them in makeup collection but there is something about this product that really adds a touch of ‘Spring warmth’ to my skin. Its soft, natural and hard to go overboard with, pigmented without being too pigmented, so if you are heavy handed with blushers this is your perfect match. 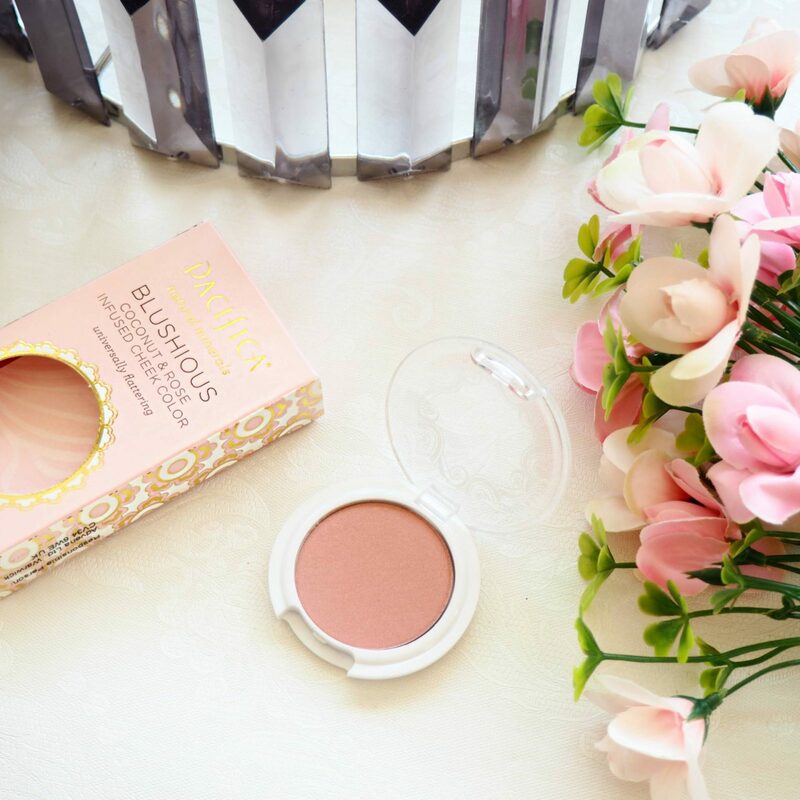 This blush just adds a lovely warmth, glow and health to my complexion, a perfect everyday blusher that’s hard to go wrong with. Another shade from Pacifica is Wild Rose which is said to be more pink in colour. 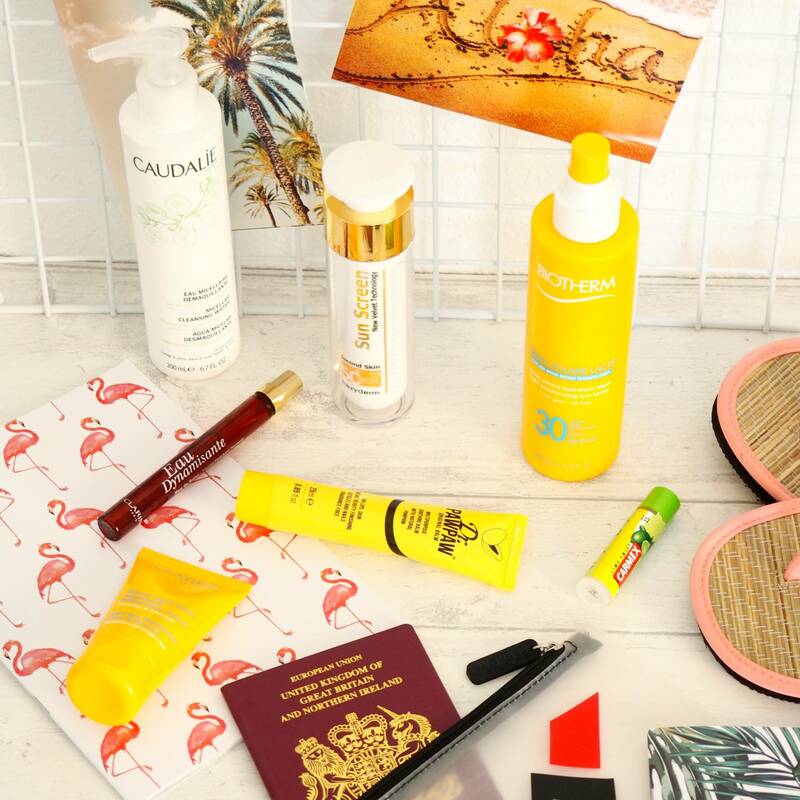 Both Wild Rose and Camellia are infused with Coconut and Rose. 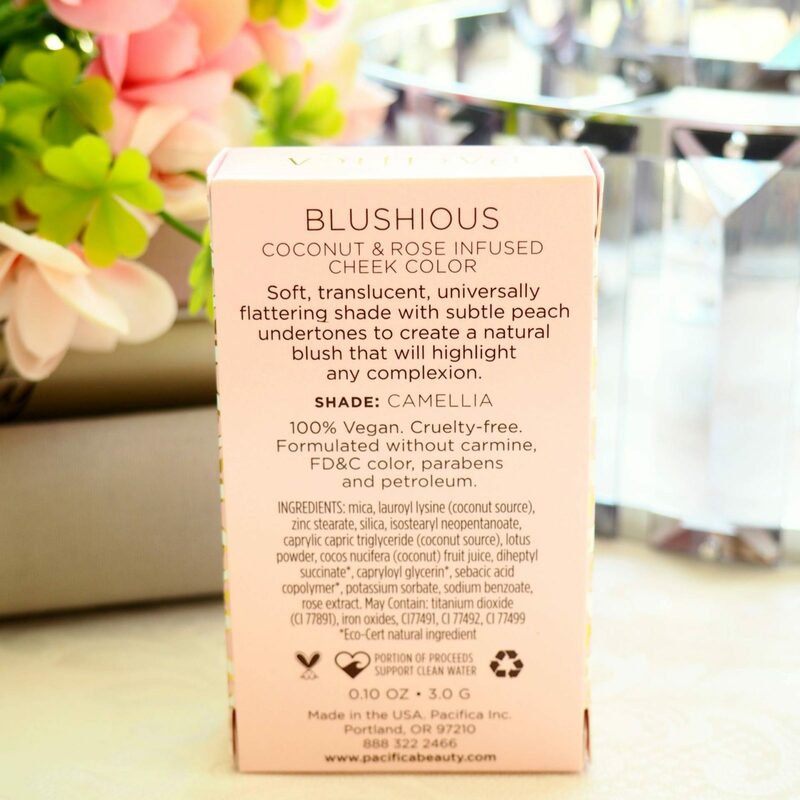 Ingredients: 100% Vegan and Cruelty-Free – whats not to love about this blush?! 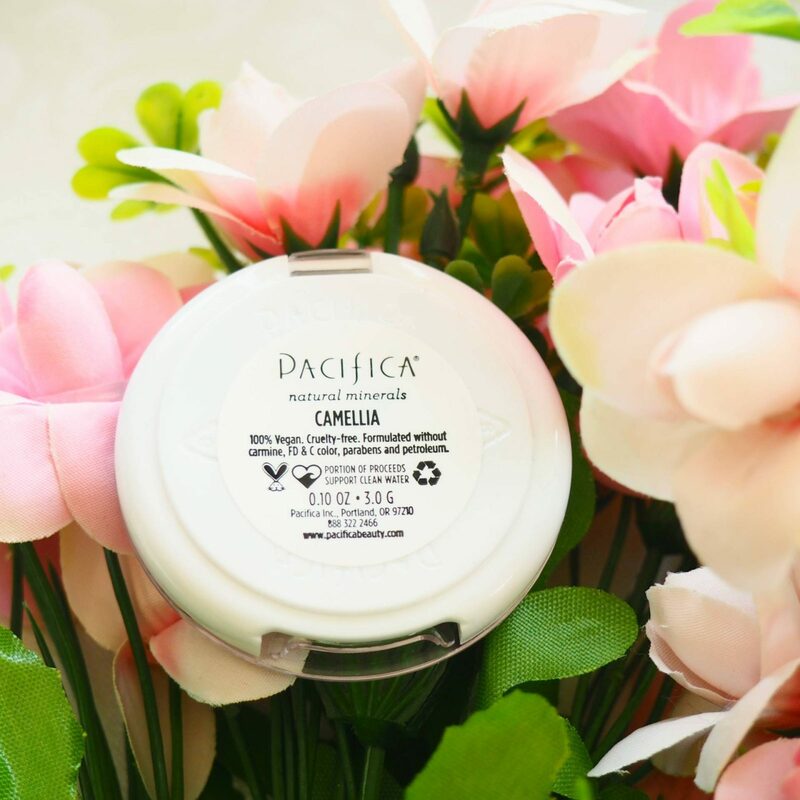 Kind and gentle, formulated without carmine, FD&C Colour, Parabens and Petroleum, its an organic beauty lovers dream with a super soft texture. 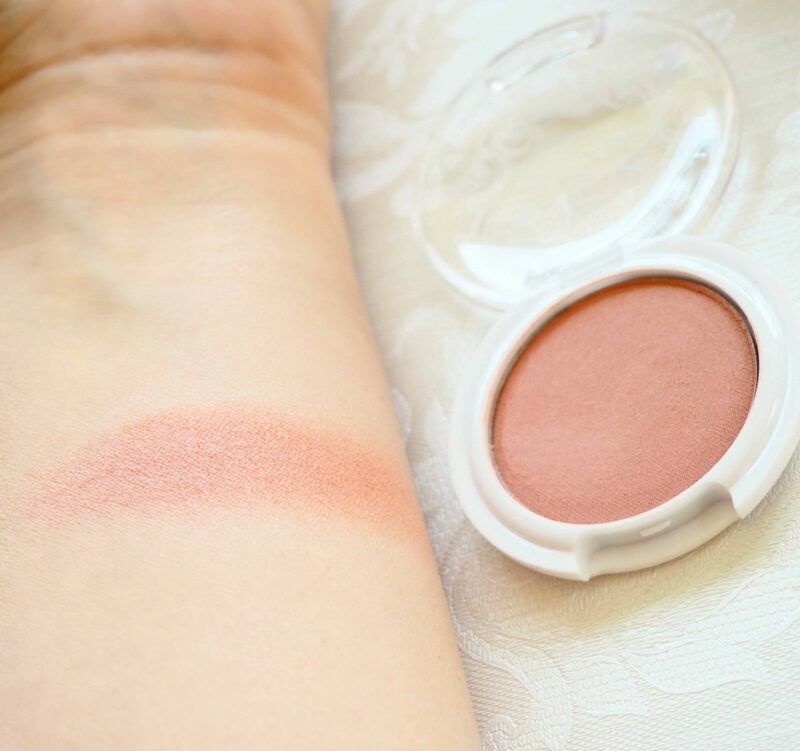 Overall thoughts: I feel this blusher needs more Social Media love because it is a wonderful everyday blusher that will suit so many different skintones. I find it to be long-wearing which also makes it an ideal Bridal and Wedding Blusher. It has a slight shimmer (nothing crazy) but this adds such a lovely glow-from-within look without making the skin look shiny or glittery. The blush is even in colour, buildable and one that you can really amp-up the intensity with just by adding more product (without going overboard). 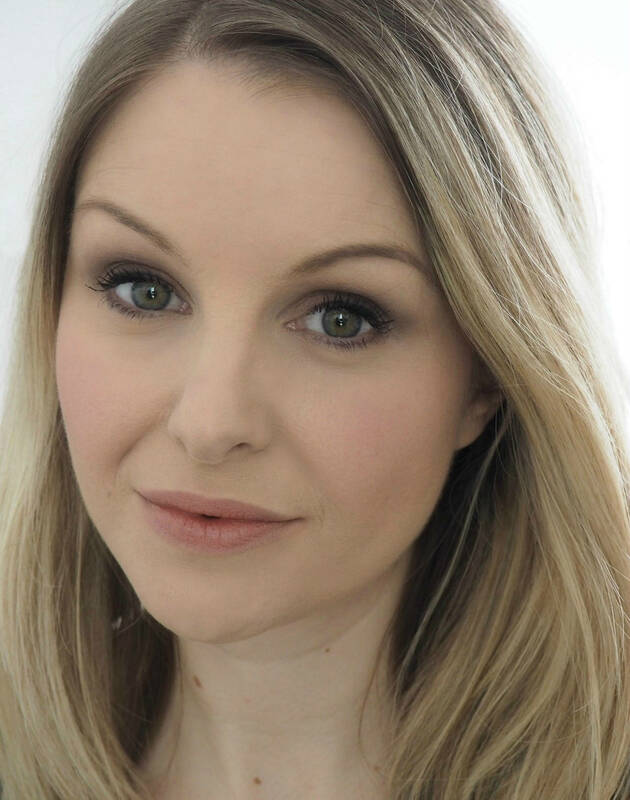 To me this is the perfect hint of colour that adds a healthy, natural, flush of warmth to my complexion which is exactly what a blusher should be. 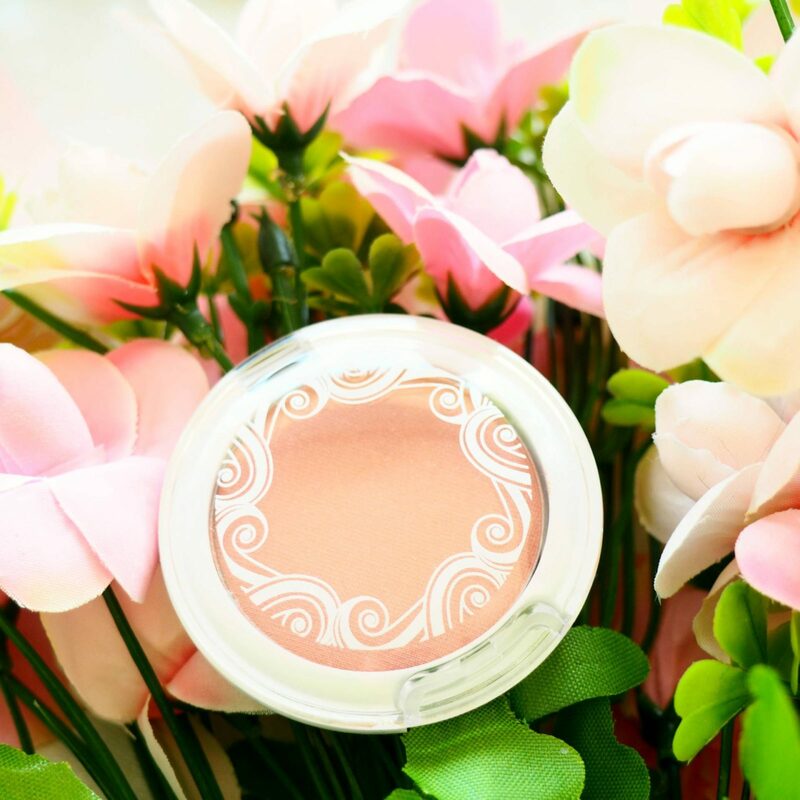 Spring blushing at its finest.